Limousines are really in high demand for a huge number of people today especially those that belong to the upper class. Before, only rich people had the luxury of enjoying the comfort and fun that limousines have to offer. However, things have now changed because even people who are on a tight budget can take a ride inside a luxurious limousine through the help of a good limo service. Getting a limo service is considered as a must by a lot of people during special occasions such as weddings, birthdays, and proms. The contents of this article will help you to find a good limo service that will really allow you to enjoy and have fun during your special event. Take note of the dos and don'ts that I'm going to mention in here because they will really be of good help to you. First off, you should have a list of different limo rental companies in your area. The more companies you have on your list, the better. After you make your list, you can start crossing out the ones that are not worthy to check out. Next, before you make a final decision as to which limo company you're going to go for, you should first take some time to consider your budget. You should determine whether or not the money you have in hand is enough to pay for the service of the company that you want to get. Next, you should consider the brand, model, and color of the limo that you're going to get. Make sure that it easily matches your taste, style, and the theme of your event. 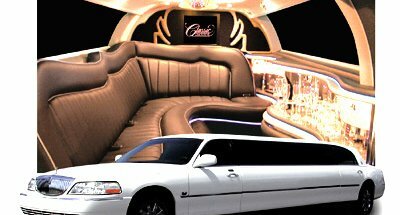 Once you choose the limo that you want to rent, check out the amenities inside of it so that you'll know that all of them are working properly. Get to know the chauffeurs so you'll know whether or not their well-trained and courteous. Aside from this, it would also be good if you to take the time to read the testimonials of past clients because they will help you to make a smart decision. Comments and suggestions from past clients are really valuable because they are based from their own personal experience with limo companies and the services that they offer. Take note that if you get a limousine service, your expenses are going to range from $300 to $500 plus the 15 to 20 percent tip that most companies require from their customers. If you are really on a tight budget, it would be best for you to find a company that offers good discounts for their services. If you're event is a big one and you need to transport a lot of people, you can save money by getting multiple vehicles because a lot of companies give out good discounts as well as freebies to customers that rent multiple vehicles. Take the time to take a look at a great collection of different affordable Austin limo service [http://www.flashtransportationtx.com/austin-limo-service/] packages at the Flash Transportation [http://www.flashtransportationtx.com/] website.